I attended a beautiful wedding this weekend of my sweet friends Kathleen and Drew. It took place at Ephesian Farms, which I was told is a relatively new wedding venue about 45 minutes outside of Birmingham. 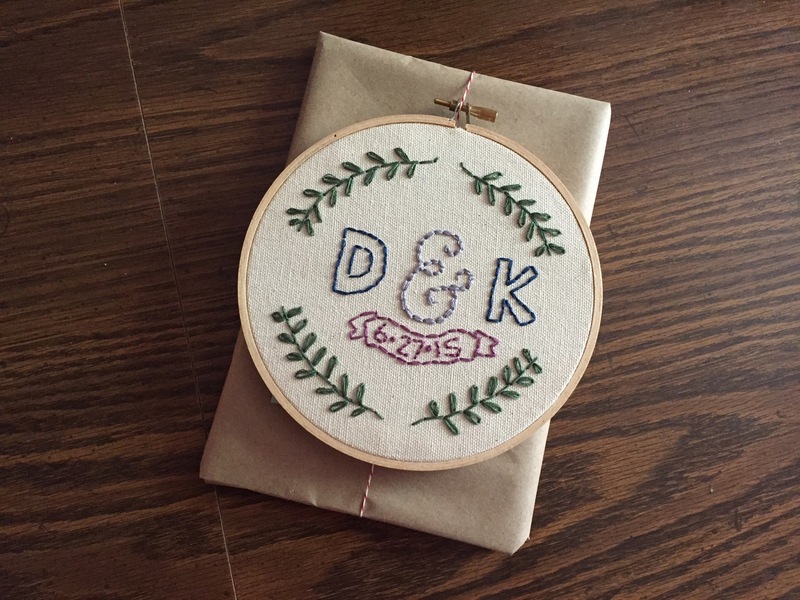 Every detail of the wedding was so thoughtful, but knowing Kathleen, I was not surprised. So I knew I wanted to return the thoughtfulness with a sweet gift. I made this embroidery hoop and attach it to a gift – a book all about Atlanta, the city they are moving to after their honeymoon. As a kid I was always fascinated by the painters who would set up in museums, right next to the most famous paintings, and replicate them color by color. I thought why is this famous painting so famous if it’s easy to replicate. I laugh now at my younger self. I’ve grow to learn that famous painting are famous for reason – no matter how hard you try, you can’t replicate the genius. 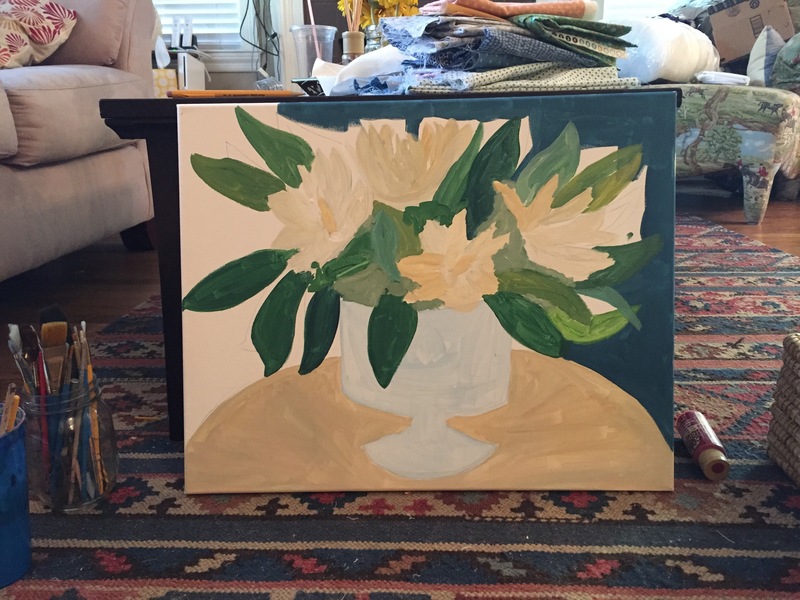 Instead, you learn to paint by trying to replicate a master’s strokes, color choices and style. I’ve been following Lulie Wallace for a little while now. 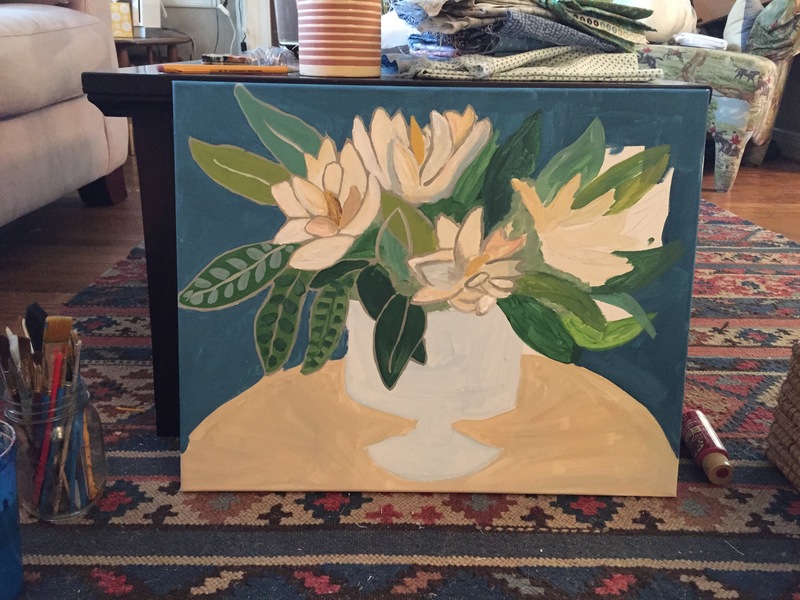 Recently, she’s posted a collection called a Southern floral series that I am obsessed with, specially her painting of magnolias. So I took the afternoon to try to learn from a master. Again, it’s impossible to replicate the genius, but it was fun to attempt to capture its style. 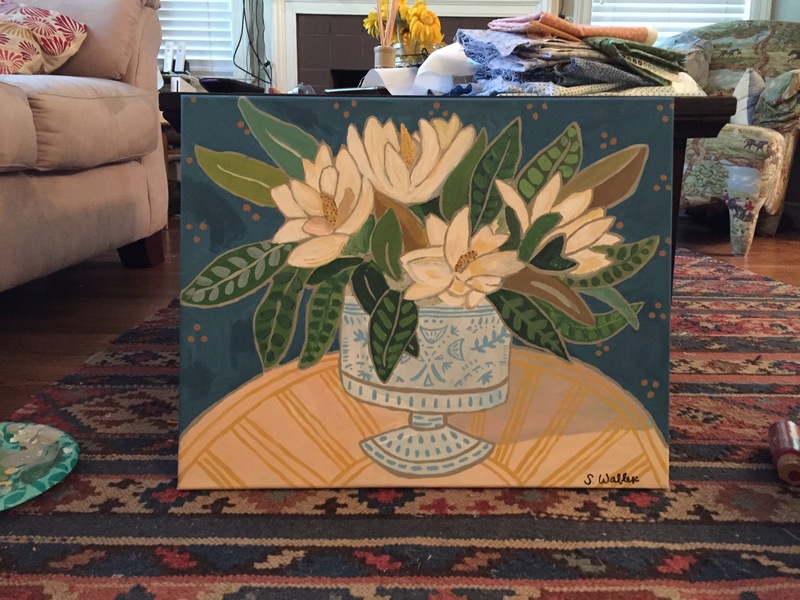 Plus, I get a beautiful painting to hang on my wall. This project came out of a great collaboration. A friend named Amy recently connected with me on Facebook, asking if I had any ideas for a gift I could make for her mother. She wanted the gift to somehow involve her son and niece (her mother’s two grandchildren). 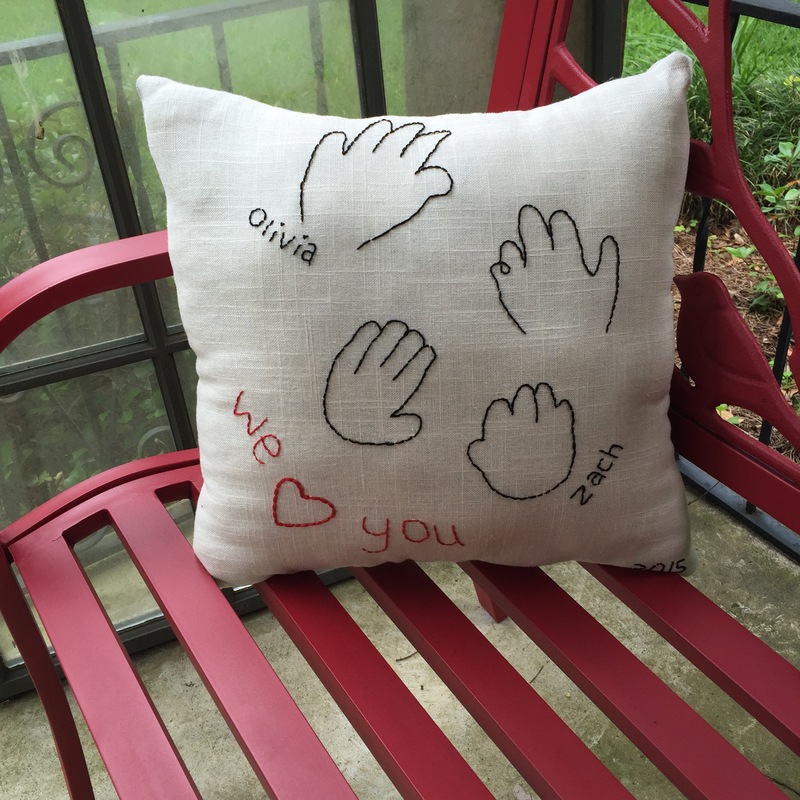 I spent the morning brainstorming, and after a little back and forth on Facebook, we came up with the idea of embroidering the children’s handprints on a pillow. I am so obsessed with this finished product. The first step required a lot of Amy since she had to trace her son’s hands. Apparently, he kept trying to grab the paper. Her sister did the same with her daughter. The traces weren’t technically perfect, but I loved the authenticity of them. 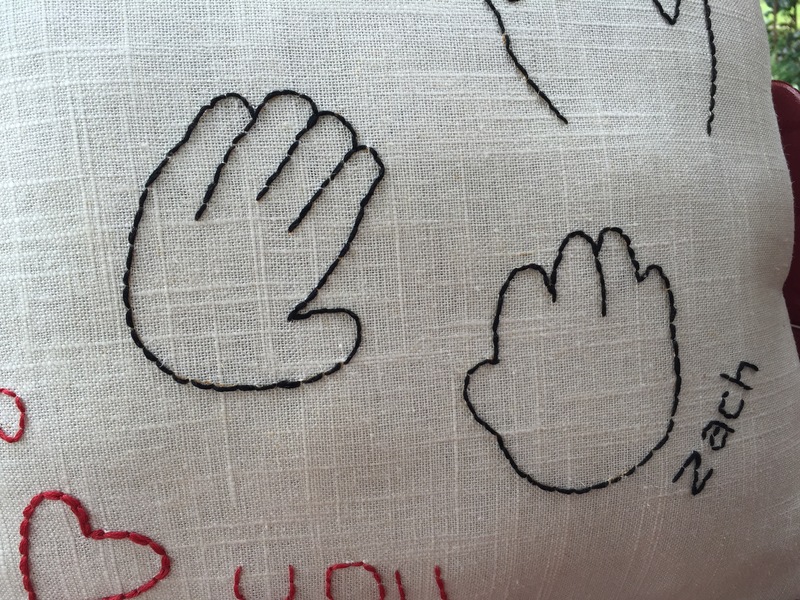 It liked that it looked like we traced their hands directly onto the fabric. 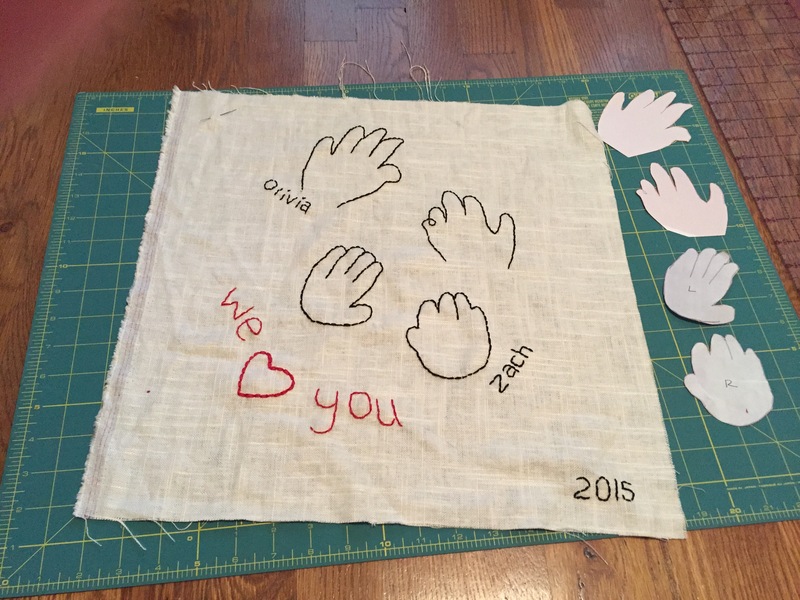 Amy and her sister sent me pictures of the kids’ hand prints on a 8.5 x 11 pieces of paper. Knowing the size of the paper, I tried my best to print the hand prints to scale. 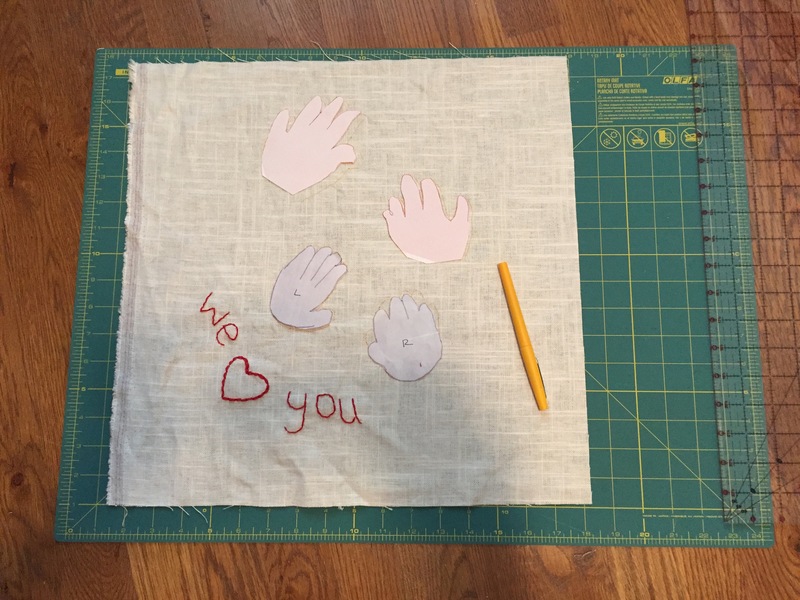 I cut them out, and traced them onto the fabric with a yellow pen. (It probably would have been better to use a pen with disappearing ink, but I didn’t have one at the time.) I then used black thread and embroidered on top of the yellow line. 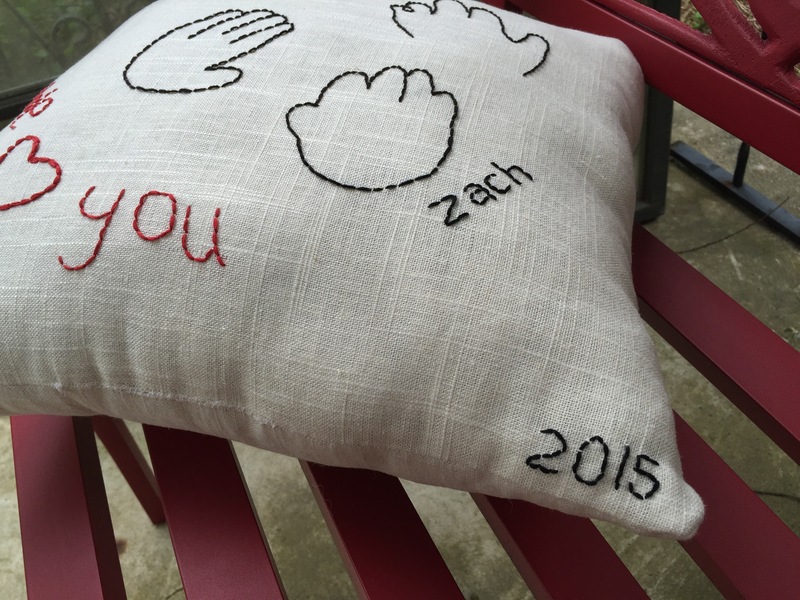 Since their hand prints were so tiny, I embroidered a few details to help fill in the space, like their names and the year. 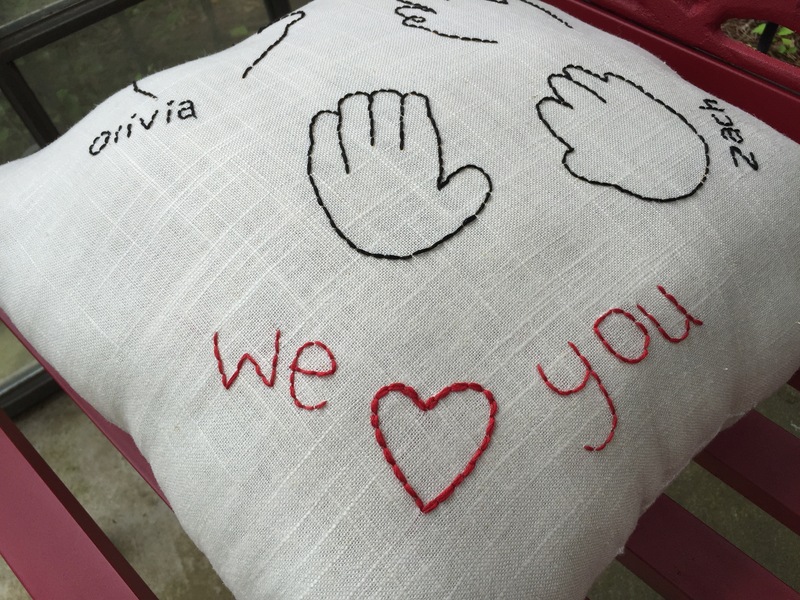 With everything stitched, I turned the two pieces of fabric in to a pillow. I love when a customer order turns into a collaboration like this, with both sides bringing ideas to the table. Amy’s mother loved the pillow. But who wouldn’t love such an incredibly thoughtful gift!